Expand the look of your interior room by adding depth with this unique set of mirrors. 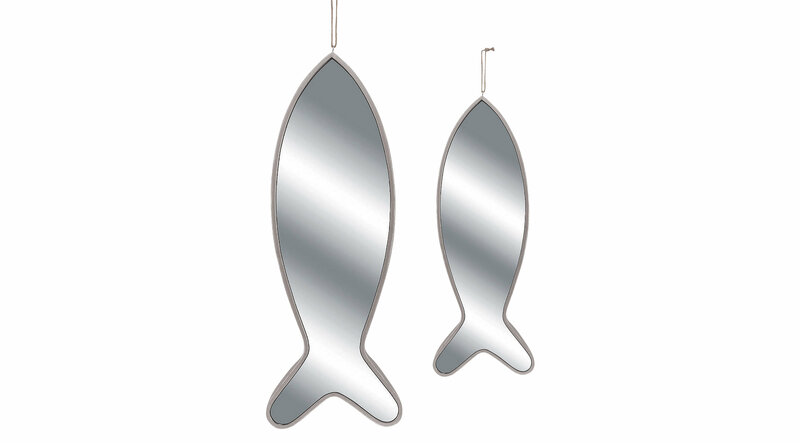 Featuring a set of two fish mirrors that have silver frames. The overall size of the large mirror is 29x10x1 and the smaller one is overall 25x8x01.